The new Bolero Maxitruck Plus combines a large load box with an economical, torque-focussed turbo diesel engine to achieve an exceptional payload and high fuel efficiency. At the same time, the affordable price tag allows a reduced acquisition cost, while benefiting the overall cost of ownership. At 2 500 x 1 540 x 295 mm, the new model's cargo box offers an impressive 1.13 cubic metres of cargo space, while the extended payload of 1 150 kg means the cargo space can be used to the full. 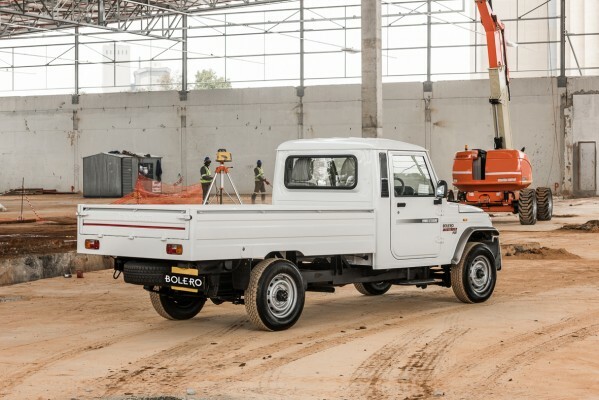 The Maxitruck Plus boasts the same, robust sheet-metal body panels as the rest of the Bolero range, ensuring that the load box easily copes with the daily bump and grind associated with workhorse bakkies. 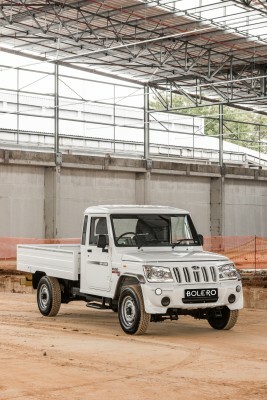 Powering the new Bolero Maxitruck Plus is Mahindra's M2DICR 2.5-litre turbo diesel engine. Designed for rugged reliability, extended service life and superior low-down torque, the four-cylinder, direct-injection unit is tough enough to cope with heavy loads, and the hot and high operating conditions typical of the high altitudes at the Reef. The turbo diesel engine is credited with a maximum power output of 46 kW at just 3 200 r/min, combined with an impressive torque peak of 195 Nm, already available from just 1 400 r/min, and sustained to 2 200 r/min. 46kW is a on the low side, and I’d prefer something closer to 100kW if you plan to do any towing with this vehicle. A five-speed manual gearbox provides a good spread of ratios to make the most of the engine's relatively small output, and it achieves an impressive average fuel consumption figure of 7.0 litres/100 km in the combined cycle. Both front and rear axles are rigid designs, and make use of a tried and trusted, progressive leaf spring suspension, combined with hydraulic dampers. Hydraulic power steering eases steering effort and greatly enhances the driving experience compared to older versions. A revised steering geometry has allowed a significant reduction in turning circle to just 11.0 metres, significantly enhancing manoeuvrability in tight spaces while benefiting overall ease of use and convenience, especially in restricted spaces. The new Mahindra pick-up runs on 15-inch steel wheels shod with 195/80 R15 tyres. 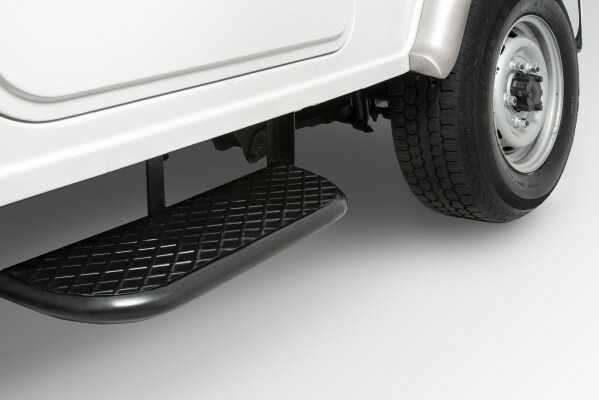 A fair 170 mm ground clearance helps the bakkie cope with roughish terrain, despite being rear-wheel drive only. An improved braking system features front disc brakes combined with rear drums. A load-sensing proportionate valve (LSPV) enhances retardation when braking hard, especially when the bakkie is fully laden. The interior features un-stylish cloth upholstery, a basic two-tone instrument panel and an auxiliary power point, allowing smart phones to be charged on the move. The finishes and materials reflect a tough character, promising long-term durability. Only time will tell if that promise is true, with Mahindra’s being prone to rust. 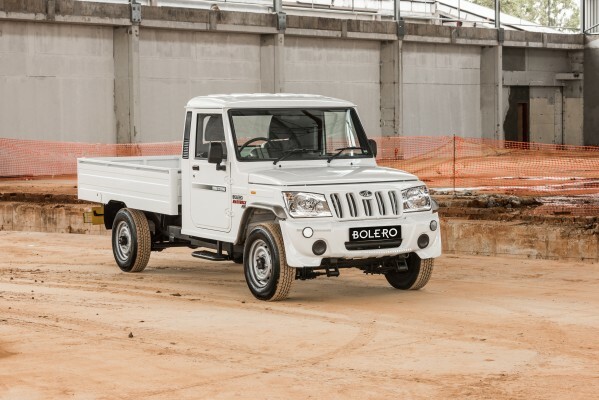 Ashok Thakur, CEO of Mahindra SA said: "The addition of the Maxitruck Plus to our Bolero pick-up range confirms Mahindra's commitment to providing South African buyers with authentic, robust and functional vehicles that are tough, reliable and affordable. "With its large load box, extended wheelbase and high payload, the Maxitruck Plus is set to become the workhorse bakkie of choice for many South African small and medium enterprises. 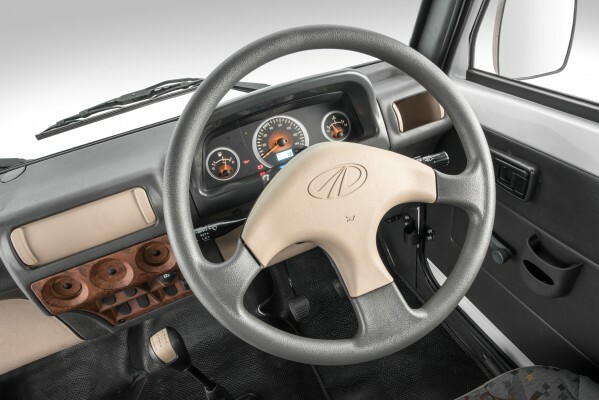 In addition, the affordable pricing and low fuel consumption significantly reduce overall operating costs, while Mahindra's reputation for reliability promises a long service life," Thakur added. 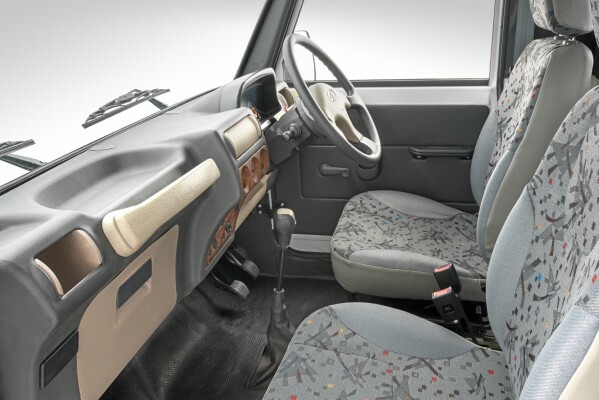 The new Mahindra Bolero Maxitruck Plus sells for R127 995 and is supported by a two-year or 50 000 km warranty. Price is definitely where this bakkie makes its mark, being a fair bit cheaper that its rivals from Ford and Toyota, but the styling may not be to everybody’s taste. After-sales back-up is another potential issue, with the more established brands having a greater presence in the rural areas of Southern Africa. 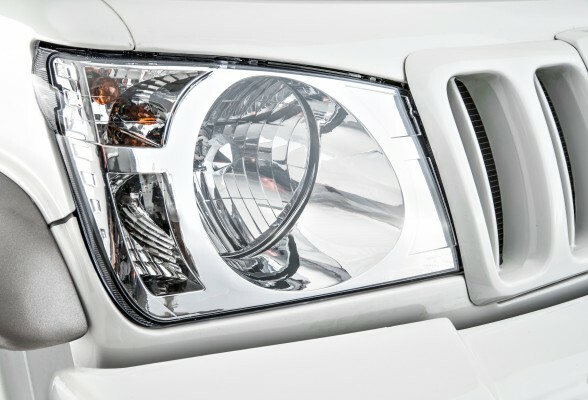 In any event it’s great to see the bakkie market as strong as ever, with fresh competition spicing up the pot and creating more affordable products in the long-run for fleet managers.